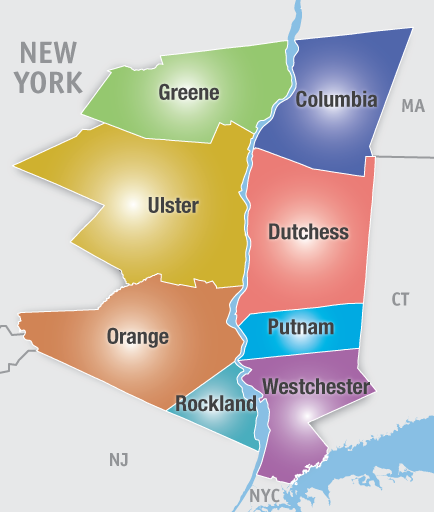 Welcome to RealEstateHudsonValleyNY.com, the online source for buying or selling your home in the Hudson Valley, just North of New York City. Contact Us today and let our team of talented local professional Realtors help you with your next move. Are you interested in learning more about the communities, school districts, and commute info in the Hudson Valley? We have made a page for each county, and its towns and school districts. You can search, compare and select all Hudson Valley homes, coops, condos, new constructions, and land for sale. Visit the advanced home search page and you can find your dream home by county, city, towns, hamlets, and school districts. Save your searches and favorite properties for later review, get email updates of all Hudson Valley listings and price reductions, and even schedule your property showings online. Interested in checking out homes for sale in other parts of New York? Check out our sister website, NYLongIslandRealEstate.com to see all homes for sale in Queens and Long Island.